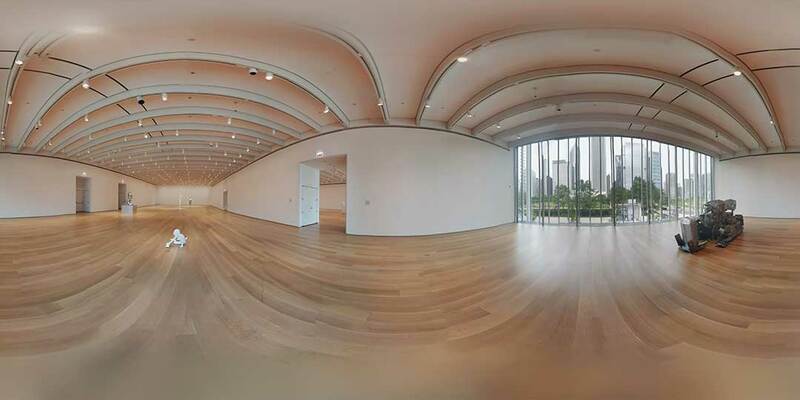 One of the final 360 degree shots used in the VR experience. 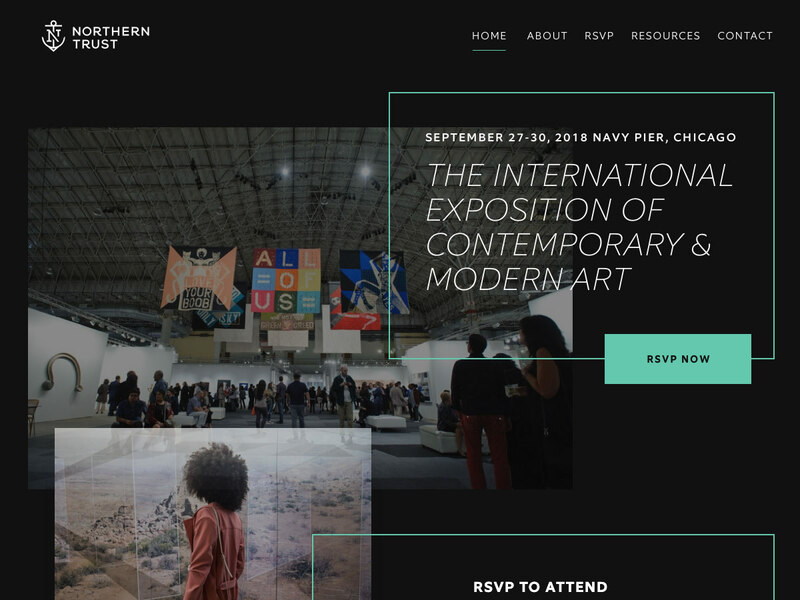 EXPO Chicago is an annual, luxury exposition of contemporary and modern art, catering to a high-end art-loving crowd. 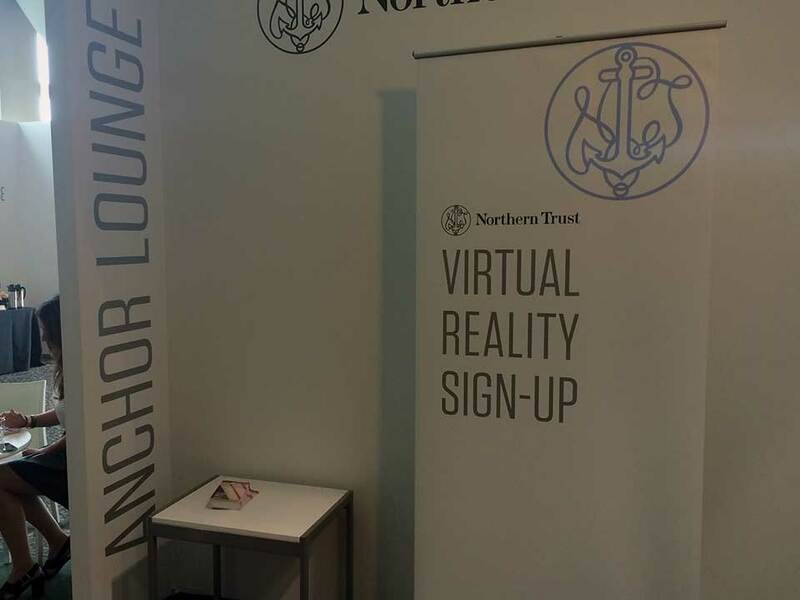 Northern Trust was a primary sponsor, and looking for a way to improve its presence and engage clients and prospects in its on-site lounge area. The "Innovator" Edition of the Samsung Gear allowed for a simpler, wireless setup on-site at EXPO. 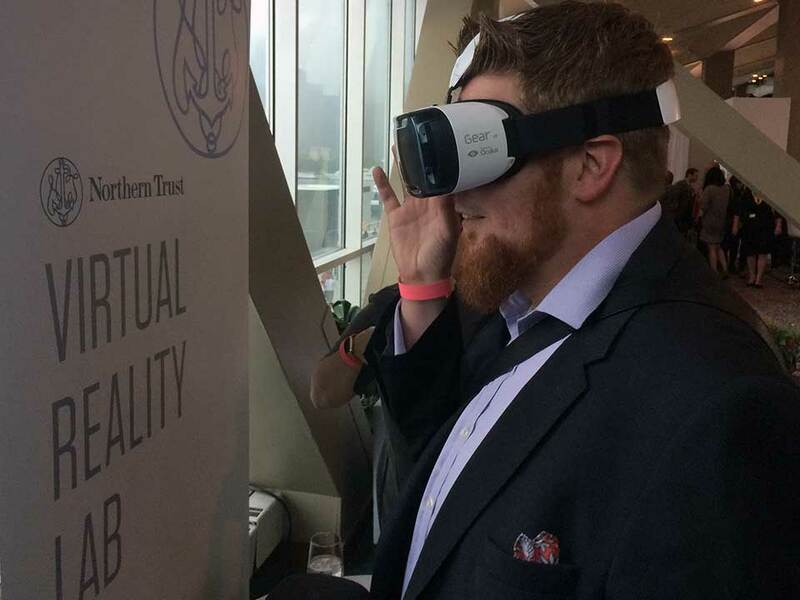 After some initial research, I proposed a unique solution — showcase Northern Trust-sponsored artwork in an immersive, interactive 360° experience for attendees by leveraging the latest virtual reality technology. 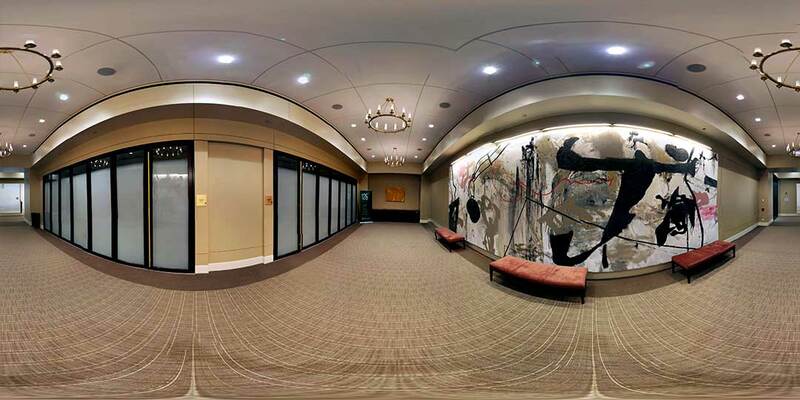 An early 360° test shot of the artwork in our global conference center. 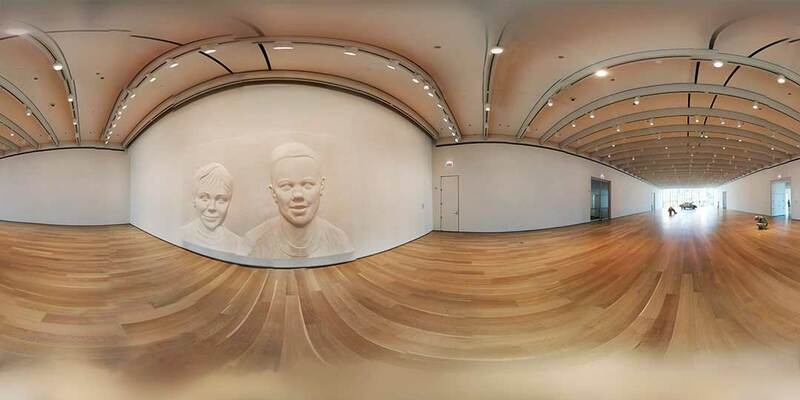 We partnered with the Art Institute of Chicago to conduct a private 360° photoshoot of a Charles Ray exhibit to later display on the Samsung Innovator Gear VR headset at the exposition. 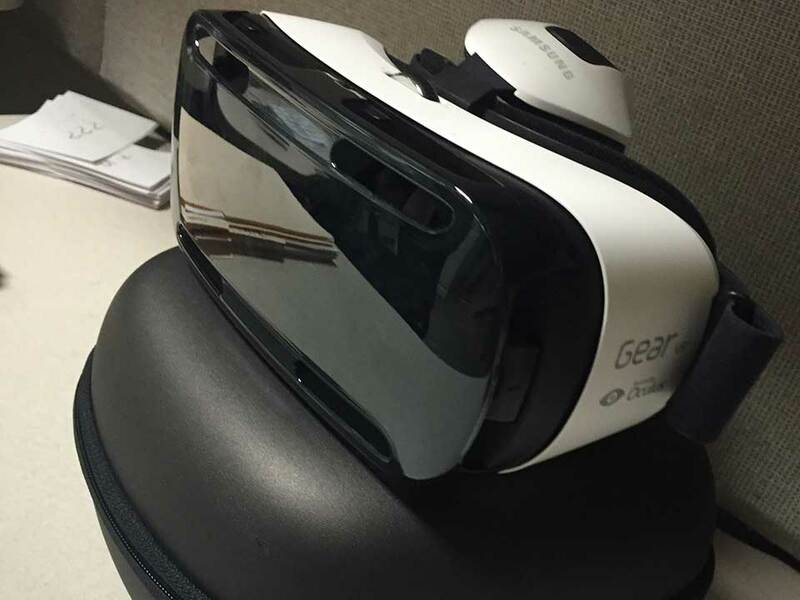 We created a sign-up form to help manage the line of people interested in trying the Virtual Reality experience. The headset gave the feeling of being only a few feet away from the large sculptures created by the artist Charles Ray. 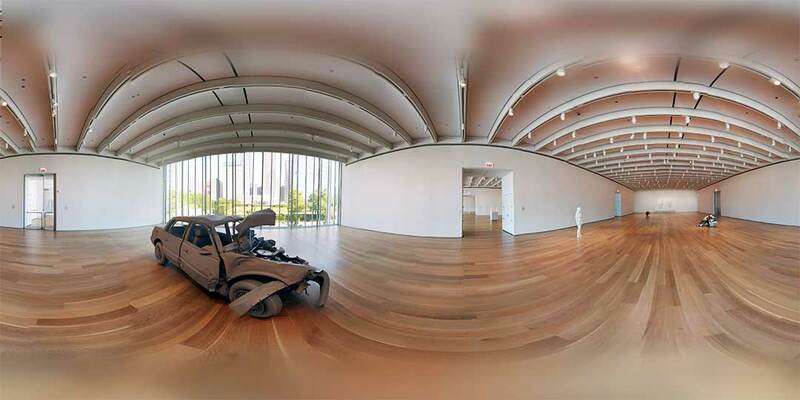 The 360 degree photos were all captured in the Art Institute, and could take up to an hour to shoot. The final images created a uniquely immersive experience, allowing users to feel as though they were in the actual museum exhibit. 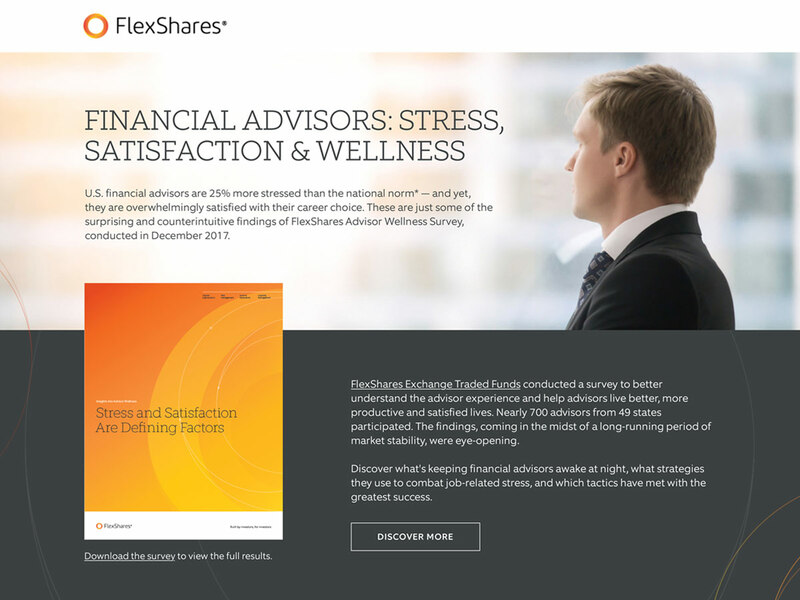 Attendees were excited to try the new technology and were blown away by the results. They loved seeing the artwork up close and from an entirely new perspective — most importantly, it piqued interest in Northern Trust and drove continued conversations with current clients and potential prospects. 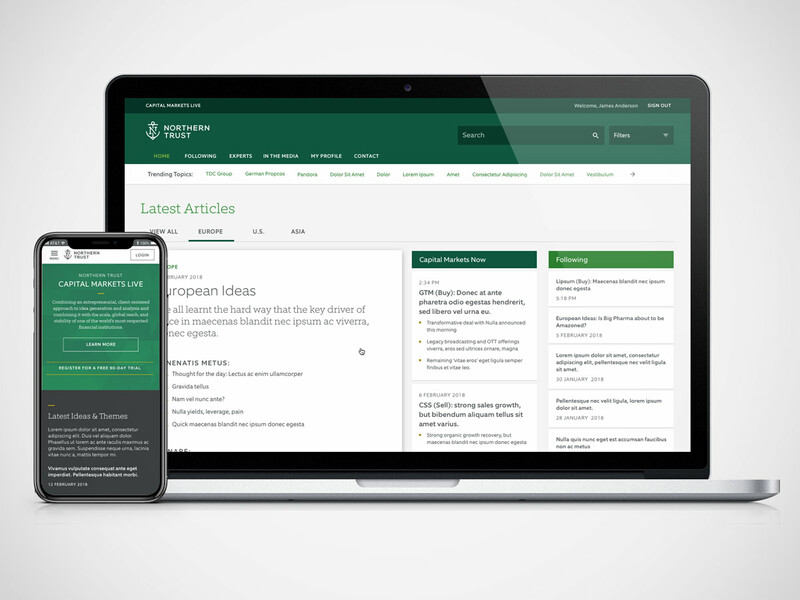 I'm a hybrid senior visual and user experience designer who creates unique and thoughtful digital experiences.